Welcome to the last day of Meet The Authors October. Finals start on Monday for me which means I'll mostly be exiting the blogging cave for at least the next week (unless I'm feeling brave and think I can do both studying and blogging) and entering the studying cave of last minute prep, anxiety and trying to remember whatever I can. 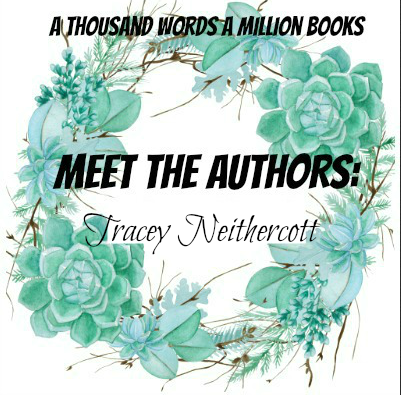 Now, there's two Tracey Neithercott giveaways going on on my blog - one is INTL and the other is US, just to include everyone. Click here to enter the INTL Gray Wolf Island Giveaway. Scroll down to enter the US one! Aditi: I like your tattoos. I've always wanted one (or many) but I've never been able to decide what to permanently etch onto my body. Which was your first tattoo and what does it mean to you? Elliot: Did you talk to Ruby about this? Because if she told you my tattoos are nostalgic, you should know she doesn’t even understand the correct definition of the word. Ruby: It’s the sentiment, Elliot. Elliot: Nostalgia is wistful longing for the past. 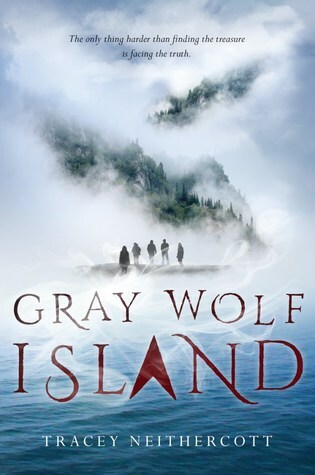 I’ve been longing for Gray Wolf Island my whole life, but it’s only ever been my present and future. No, my first tattoo—a wolf for Gray Wolf Island, on the right side of my torso—is badass. I wasn’t even 18 and legal to get a tattoo at the time, but I found a guy who knew a guy. You know what that makes me? Ruby: He’s really, really not. Elliot: Get out of my interview, Ruby. 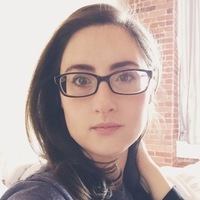 Aditi: My sources tell me that you're a great fan of linguistics. What's your favourite part about it and could you give us the origin and meaning of one of your favourite words - in any language? Elliot: I started studying the treasure before I could even point to Gray Wolf Island on map. Mostly because Thornes are destined to discover it one day. Gabe: Says nobody but Elliot Thorne. Elliot: I know I’m destined to find it the way I know the treasure exists. And part of my studies were with my mom, who was called in by Wildewell’s most famous treasure hunter, Bishop Rollins, to translate the markings on one of the Star Stones. Everyone thought they were runes, but everyone is obviously an idiot. They’re nothing like the runic alphabet. Ruby: You’re such a badass, Elliot. Elliot: Anyway, I’m not really into that whole thing anymore. Language and words and all of that. But if I had to choose—like if someone forces me in an interview—I’d say it’s the Welsh word hiraeth. I read an article about it a few years back, how it’s a word with a definition that doesn’t really exist in English. Closest we can come is a deep longing for a place you’ve never been. A place that may never have existed. Ruby: You feel it, don’t you? About the island. Elliot: Yeah. 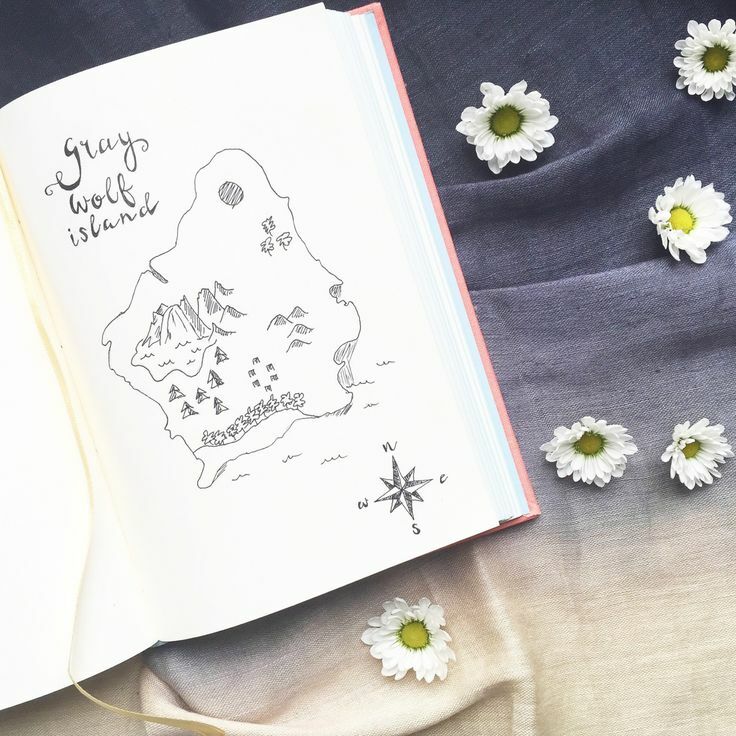 I have a hiraeth for Gray Wolf Island. Aditi: If you had to eat three of Gabe's dishes for the rest of your life, what would they be? Elliot: Well, he makes really great pancakes. Elliot: I like pancakes. I’d also eat his chef salad for the rest of my life—one of the three meals should be slightly healthy so I don’t die when I’m 20. I’d also eat his mac ‘n’ cheese forever. He puts crispy bits of bacon in it. Gabe: First off, that’s prosciutto, not bacon. Second, what about my paella? I rock that thing. Elliot: It’s good. Everything Gabe cooks is good. Charlie: I’d want your paella for my last meal. Not that I’d be in a position to need a last meal. I mean, everyone eventually eats a last meal. It’s, like, a human thing. But I don’t think I’d need to request one from a jailer or anything. Elliot: Aditi asked me the question. And I want Gabe’s pancakes, chef salad, and mac ‘n’ cheese. 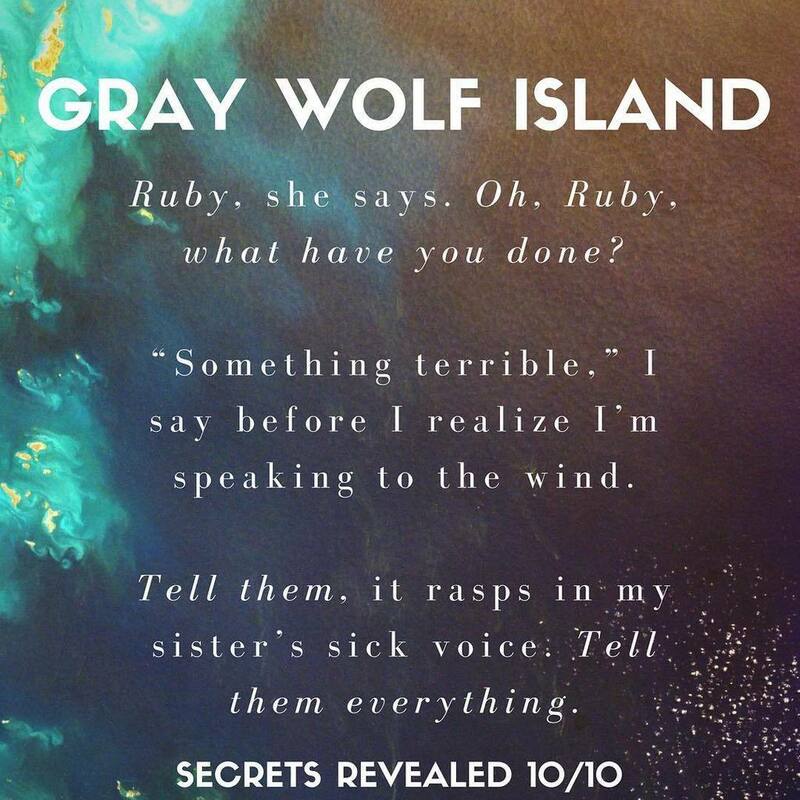 Aditi: Let's talk about the mysterious Gray Wolf Island. When was the first time you heard about it? How long has your family been The Thornes who would find the treasure? Elliot: I heard about it before I was born. So many stories passed down for so many years—that’s the sort of thing you understand before you take your first breath. And everyone knows my family is destined to find the treasure—they found an old shoe back in 1876. If that isn’t proof a Thorne will find a treasure, I don’t know what is. Elliot: So maybe everyone doesn’t believe a Thorne will find the treasure, but I do. It’s a pull inside me. I can feel the treasure out there—miles off the coast of Maine and nearly in my backyard. I’ll find it. I know I will. 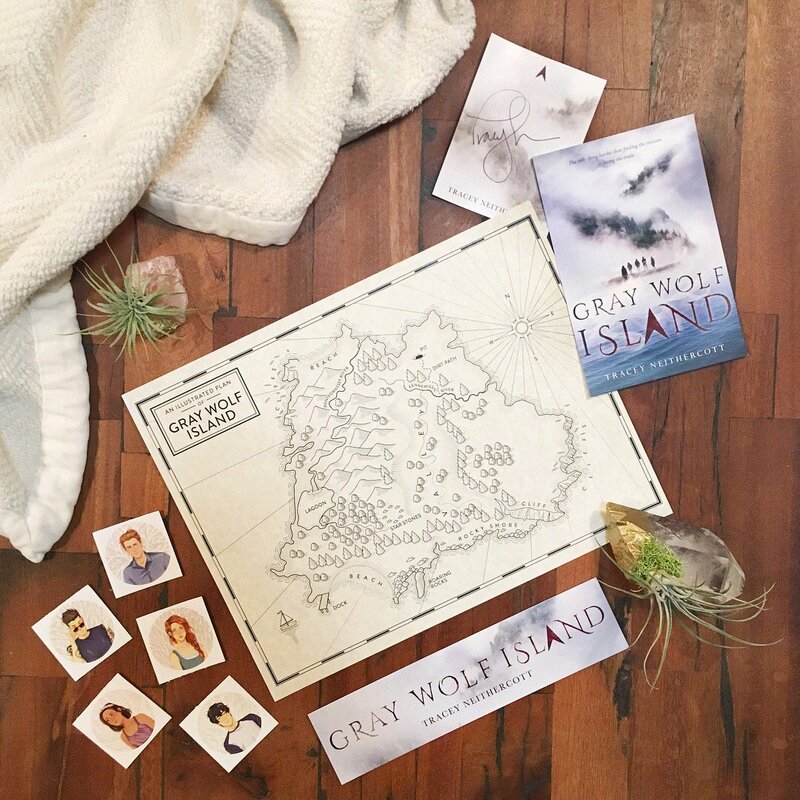 Aditi: What would be some of the first things you buy/ do if you find treasure of Gray Wolf Island? Elliot: Well, we wouldn’t actually keep the treasure. I’m sure whatever is buried there has great historical significance and belongs in a museum. Charlie: That defeats the entire purpose of a treasure hunt. Anne: Unless the purpose is the treasure hunt. Elliot: You can’t keep priceless artifacts. That’s totally irresponsible. Aditi: Since you're such a voracious reader, do give me a few treasure hunting TV/ Movie or Book recommendations that you think will get my in the spirit? Elliot: Well, you could watch The Goonies, which I liked when I was a kid because of the treasure hunt (obviously) and the fact that it was a bunch of kids who found it. Even at 10 I knew age didn’t make a difference in a person’s ability to find a legendary treasure. Anne: Well said! Though it does make a difference in their ability to sail a boat to the island hiding the treasure. Elliot: There’s The Curse of Oak Island on the History channel, but those guys still haven’t found the treasure. I bet I could find it, if I could find a way up to Nova Scotia. Ruby: Your confidence in your ability to do everything better than everyone else astounds me. Charlie: I think you’re really starting to win Ruby over. Elliot: There might be someone…significant. Elliot: Okay, yeah. There is. And of course I’d take her treasure hunting. I already did. Ruby: You’re such a Thorne. You took nobody treasure hunting. I took all of you. Anne: Maybe just talk about the date part of the question? Charlie: That’s literally the last thing I want to hear Elliot talk about. Elliot: Aditi, can you remind these interlopers that this is my interview? Because it’s my interview. Gabe: No way could you plan a better date than I can. Elliot: I can plan a date, Gabe. It’d be summer. I’d take her to the beach at night—late, when the sky’s a crisp black. I’d bring my comforter, and we’d lay down next to each other. Gabe: I know where this is going. Ruby: It better not be going there. Elliot: Can you two stop talking? We’d lay down next to each other. I’d probably hold her hand because it’s better that way. 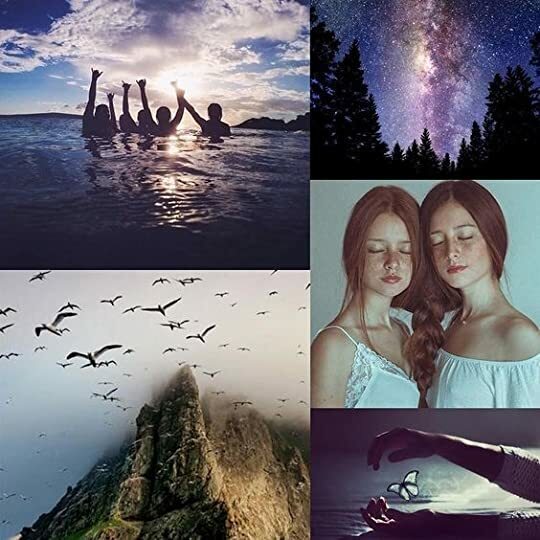 And we’d stare at the sky, waiting for it. Elliot: The Perseid meteor shower. We’d watch it side-by-side, and when it was over, I’d walk her back to her house so she wouldn’t get lost. Elliot: I might hold her tight. Ruby: Would there be kissing involved? Elliot: Oh yeah. There’d be kissing.